Richard Cromwell, the son of Oliver Cromwell, was born in 1626. 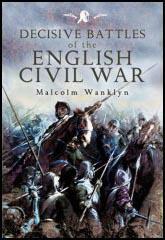 He served in the Parliamentary army during the Civil War and in 1654 was elected to House of Commons. In 1658 Oliver Cromwell announced that he wanted Richard Cromwell to replace him as Lord Protector of the Commonwealth. The English army was unhappy with this decision. When members of the House of Commons complained about Richard Cromwell he closed it down. In May 1659 John Lambert, John Desborough and Charles Fleetwood forced him to retire from government. Parliament and the leaders of the army now began arguing amongst themselves about how England should be ruled. General George Monck, the officer in charge of the English army based in Scotland, decided to take action, and in 1659 he marched on London. After the Restoration Cromwell fled to France. He also lived in Geneva before returning to England in 1680. Richard Cromwell died in 1712.